liquid to clean your car instead of making a beeline to the closest Cobblestone Auto Spa car wash, the list of urban legends and modern folk tales is long and sometimes quite amusing. The same is true when it comes to buying cars. The good news is that there are more solid tips than there are fanciful myths. 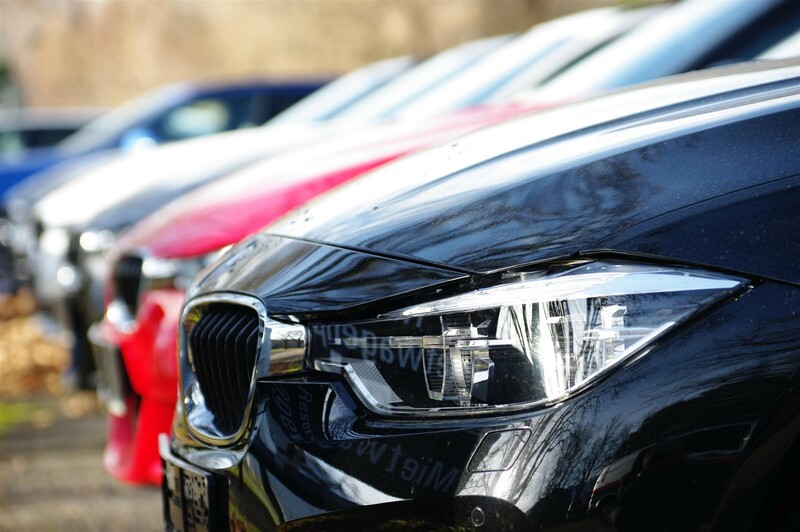 To help you on your next car shopping journey, we’ve given you a decent dose of both. in their court, you should retain control by calling them when and where you feel like it. Myth # 2: Buying a Car Is a Gotcha Game. Car buying has gotten a bad reputation over the years as one big gotcha game. When many people think of car shopping, they conjure images of devious salesman playing dirty tricks like switch-and-bait. Nowadays, however, consumers have more knowledge and more power than ever before. That means you can expect better of your dealership. Of course, karma works both ways. If you don’t want the car salesman playing games with you, then don’t play games with him. These days, clever moves like hiding your trade-in until the last moment will typically get you nowhere. Myth # 3: Outside Financing Is Always Better. Some third-party loans will put you ahead. Others won’t. 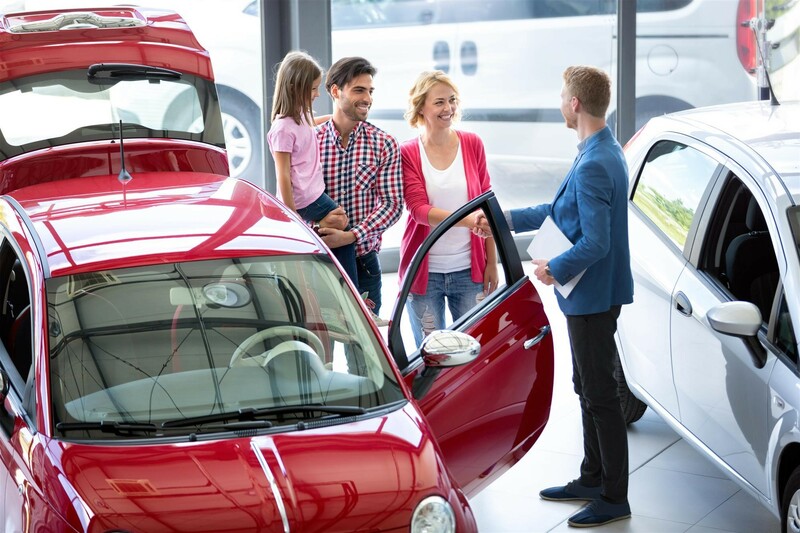 Although some people recommend securing financing before you even get near the dealership door, it’s far better to explore your options without committing. In fact, you may find that a quote from an outside lender gives you a valuable bargaining chip. Keep that quote in your pocket as you ask the dealer about rates. If they’re lower than the third-party offer, you’re in luck. If their price is too high, pull out your quote and let the negotiations begin. to beat the crowds and secure better deals. Sadly, the axiom no longer applies. Now that everyone believes they can get a rainy day price slash, no one can. Most likely you’ll be waiting in the pouring rain along with plenty of other starry-eyed hopefuls, none of whom will get that coveted deal. Myth # 5: Don’t Tell the Dealer You Want to Lease Until the Last Minute. There are an alarming number of shoppers out there who believe the old bait-and-switch trick will serve them well. They negotiate as if they want to buy a car. At the last minute, in a big ta-da moment, they reveal that they really want to lease. Since car dealerships love leases—on top of a down payment and monthly payments they get to sell the car again at the end of the lease term—this one makes almost no sense. If you want a competitive lease price, simply shop around for the best deals and wait for special offers. Myth #6: Once You Buy a Car, Let the Paint Cure Before Heading to a Carwash. This one is also a bit of a mystery. First of all, the paint is most likely fully cured by the time it rolls out of the factory. Even if it isn’t, it has probably spent who knows how long in the sun as it traveled between the factory and the dealership, not to mention how long it has spent baking on the lot. In fact, the first thing the dealer did before displaying it was probably put it through a good automatic car wash or even a luxurious hand car wash. If you’re worried about heading to the nearest car wash run by Cobblestone Auto Spa and giving your brand new baby some good love and attention, don’t be. and which have a bad reputation? Ask around. Talk to friends and family. Despite the proliferation of internet reviews, personal recommendations remain the most valuable method of getting good advice. Unlike online reviews, which you can only read passively, a personal conversation gives you the opportunity to ask more detailed questions. What exactly do your friends like about the car? How did the dealer treat them? What options do they wish they had gotten? Tip # 2: Don’t Forget to Test Drive. Some people forget or even consciously ignore this all-important step. 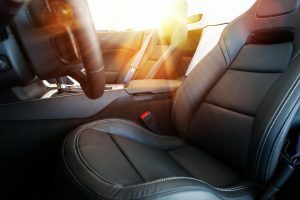 You may have asked all of your friends, checked all of the online reviews, and done months of research about the car, but until you take the puppy for a spin, you’ll never know if it’s right for you. It’s an awful thing to take your brand new car home only to discover the driver’s seat doesn’t offer enough lumbar support for your injured back. Always, always test-drive a vehicle before making a final decision. might simply move on to a more elastic customer. By going on off-days, you can earn some more one-on-one time with the dealer. In the end, more personal attention and negotiating time may lead to greater savings. Tip # 4: Know Your Prices Like the Back of Your Hand. When it comes to negotiation, knowledge is power. The more you know, the more you gain. Do your homework. Research all the specs on your dream car. Only talk to the dealership once you know what each model, trim, and features should cost. Tip # 5: Avoid Month-to-Month Thinking. 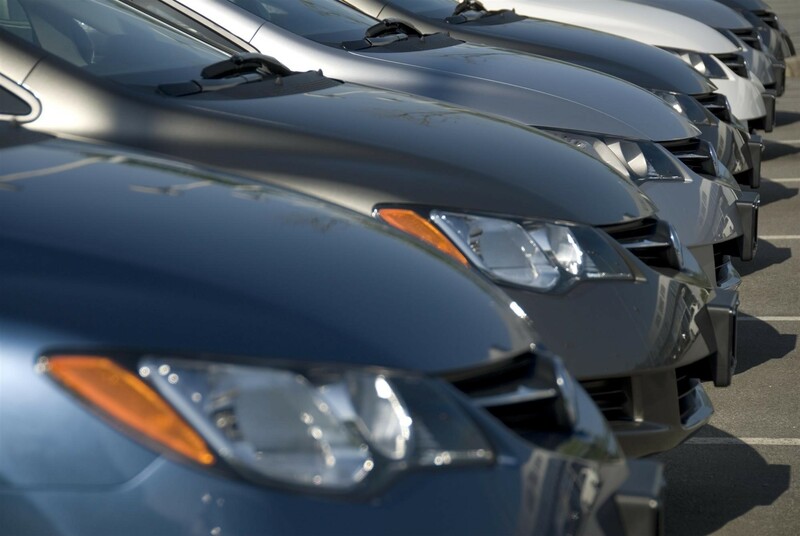 Don’t be fooled by dealers that offer only month-to-month prices. Buying a car is not the same as leasing a car or renting an apartment. You can’t walk away at the end of the month or even six months. Instead, demand that they tell you the total price of the car so you know exactly what you owe. The same applies for all the added bells and whistles. “That super-duper entertainment system will only set you back $20 extra dollars per month.” Multiply 20 by 60 (or 5 years), and you get the magic number of $1,200. Do you really want to pay over $1,000 for that amenity you never really wanted in the first place? Tip # 6: Ask and You Shall Receive. You’ll never get a better deal unless you ask for it. 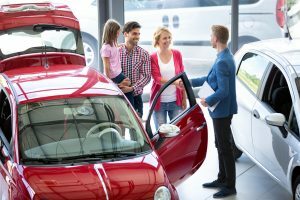 While dealers may offer you a few discounts and incentives, they’ll never give you the best deal until you start negotiating. Don’t be afraid to speak up and ask questions. “Is this the lowest you’ll go?” “Can we come down a little more on the price?” “Can we add a few more features for that price?” Ask and ye shall receive. Stay silent, and you’ll get nothing. exceed. 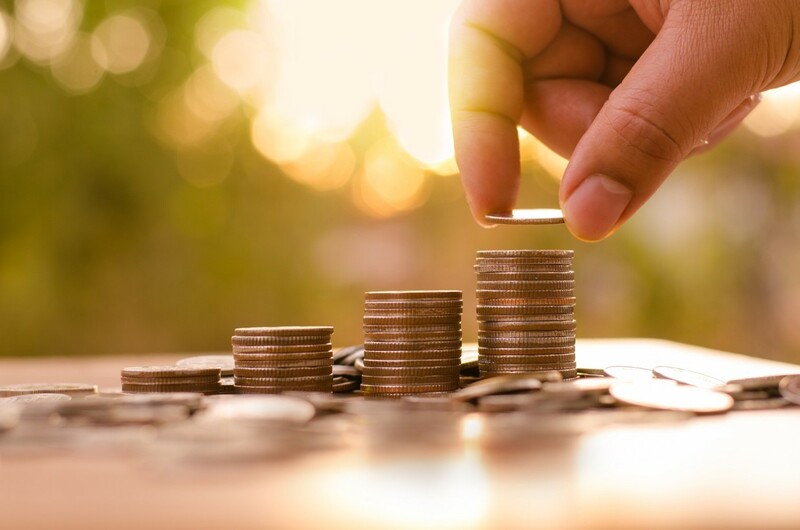 By poring over your personal finances and calculating the numbers, you’ll know exactly how much you can afford to spend up front, and how much you can afford to pay every month. Armed with this information, you can wheel and deal intelligently. However, keep one thing in mind: Don’t ever share your budget with your dealer. When negotiating, don’t tell him your numbers. Instead, stick with what you know about the car’s price and competitors’ offers. Tip # 8: Check Your Credit Score. At some point during the negotiation, the car dealership will check your credit score. There’s nothing worse than learning from someone else that your credit is in the dumps. Obtain a copy of your own credit report before you ever set foot in the dealership, and you won’t be facing any nasty surprises. Tip # 9: Aim for the Invoice Price. When a dealer buys a car, they pay what is known as the invoice price. When they sell the car to you, they will do everything they can to mark it up. Your goal is to get them as close to the invoice price as possible (below is actually the ideal). That should, of course, be well below the sticker price. Tip # 11: Final Means Final. Cars are not dresses. You can’t take them home, try them on for a night, and then decide you don’t like the fit. For the most part, car sales are final. Once you sign on the dotted line, you’re committed. You’ve bought the car, and you darn well better be happy with it. If you’re not, tough luck. Do whatever you have to do to be certain of your choice before you put down the money. If more than one person is involved in the commitment, make sure they are both on the same page. Tip #12: Give Your New Car Some Love. Even new cars need a little affection. After sitting on the lot for days, weeks, or even months, most new cars are in need of a little attention. Some dealers will give you the keys, but forget to put gas or oil in the vehicle. In many cases, the cars need a good washing and waxing. As soon as you’ve broken in your new purchase, find your nearest full service car wash and give it the care it deserves. If you live in Arizona, stop by one of Cobblestone Spa’s many car wash locations scattered throughout the state to get expert washing, car detailing, or oil changes.